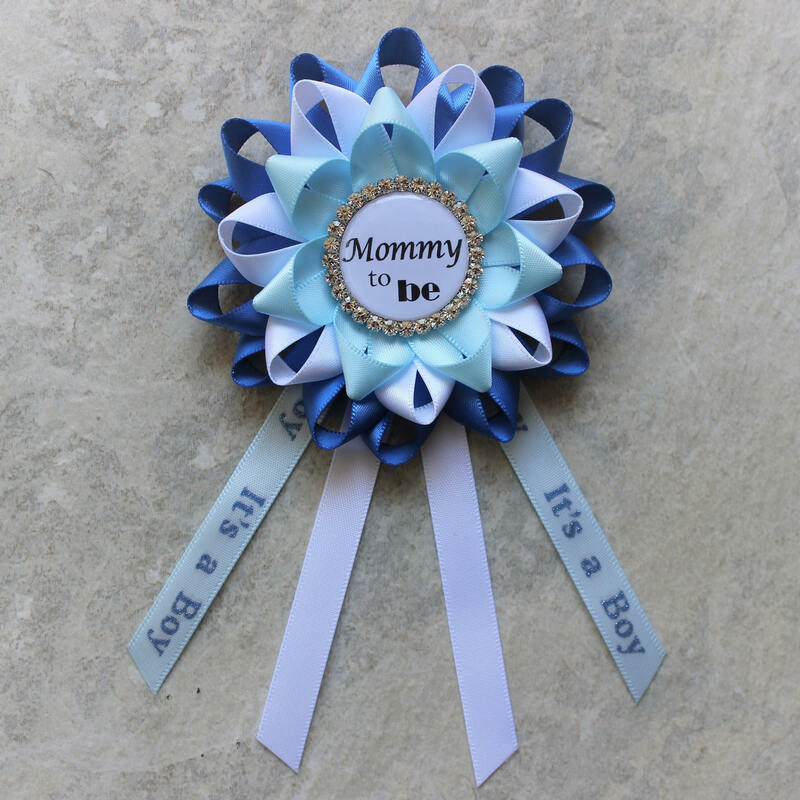 Having a baby boy shower? 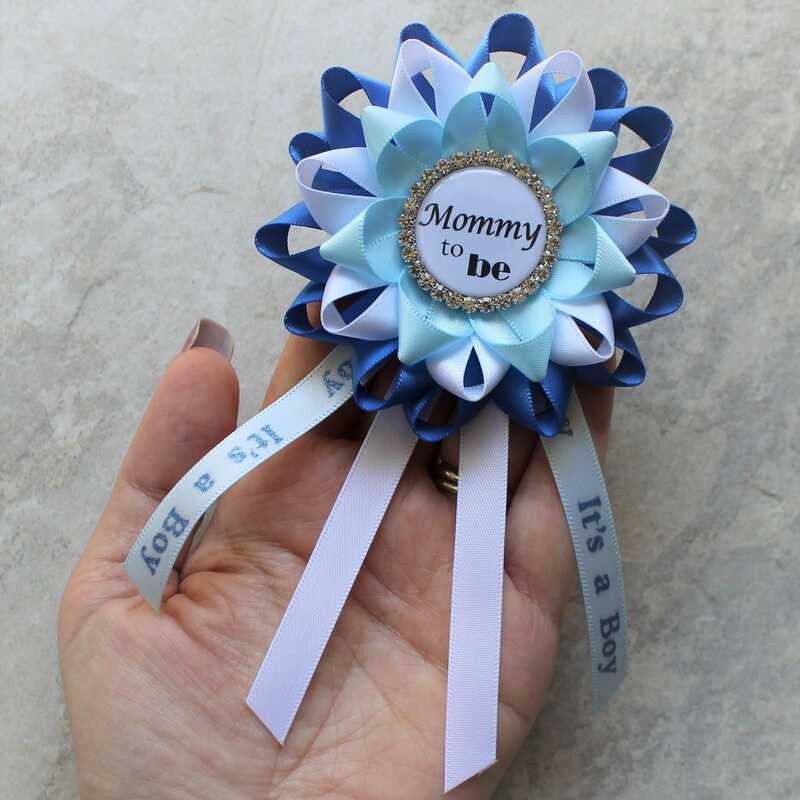 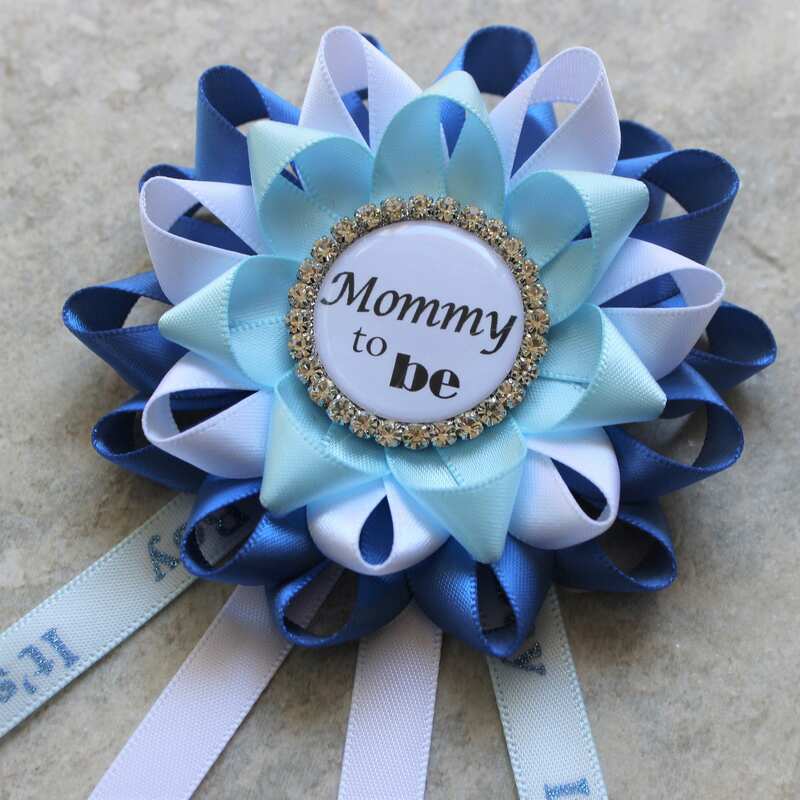 Give the mommy-to-be this pretty corsage to wear in Royal Blue, Light Blue and White! 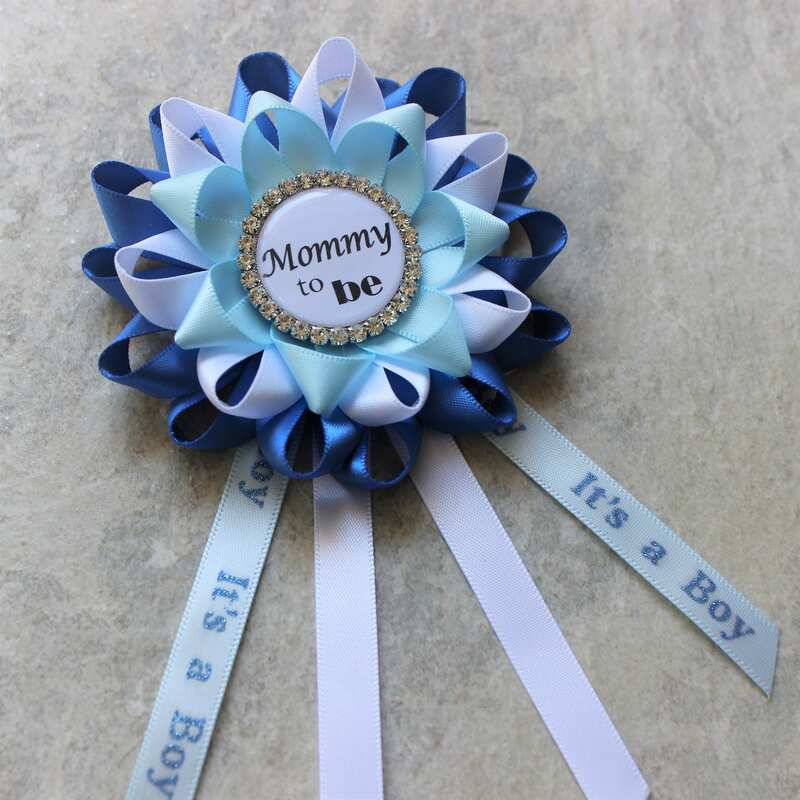 The flower section is 3 1/2 inches wide and is 6 inches in length with the streamers.